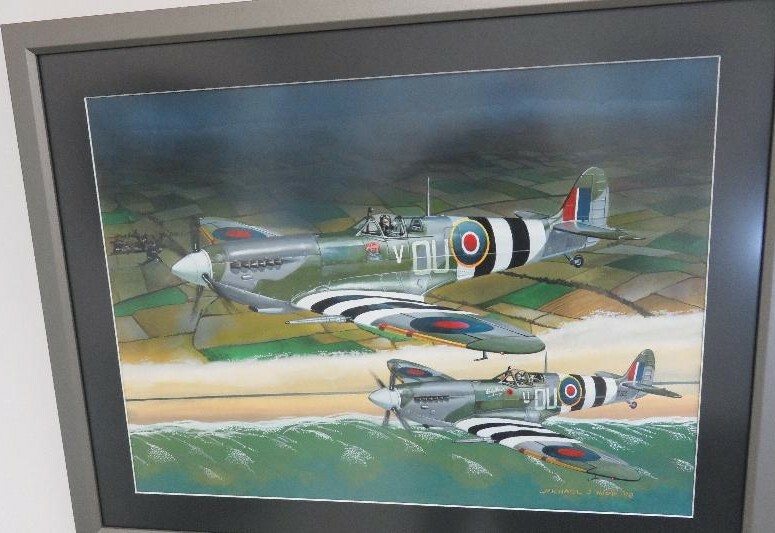 The Biggin Hill hangar features many paintings featuring Spitfires and other aircraft. 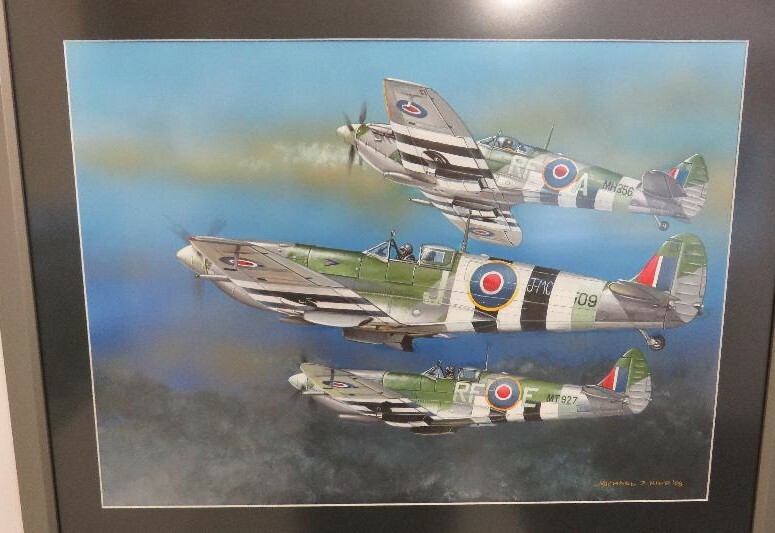 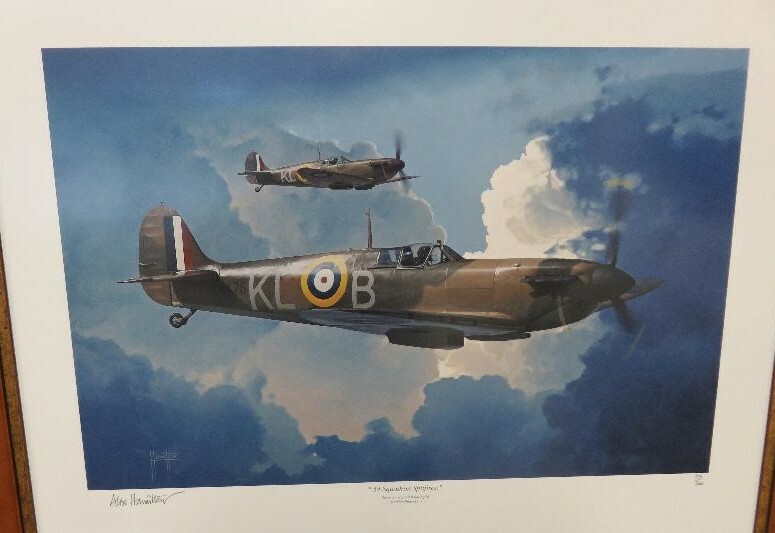 This includes a number of prints of paintings featuring Al Deere’s Battle of Britain Spitfires. 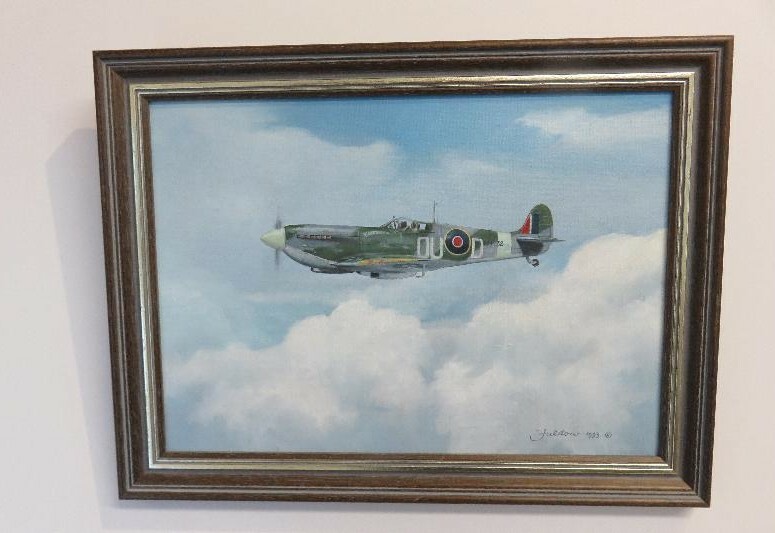 There are also original paintings by Feilding artist Michael Nidd and an original painting by Ron Fulstow featuring Max Collett’s 485 Squadron Spitfire (donated by Max Collett).